Succeeding his awarded title of Interior Designer of the Year at the Commercial Interior Design Awards, the supreme industry magazine sat down with our very own Paul Bishop to talk about his success, uncovering insights on what it’s like to compete in the industry, how he manipulates space and his undoubtable appreciation for his design team. Evolving into an unprecedented talent within the design industry, Paul explains that this recognition “goes beyond one person, or the name behind it” as he dedicates the win to his entire team. 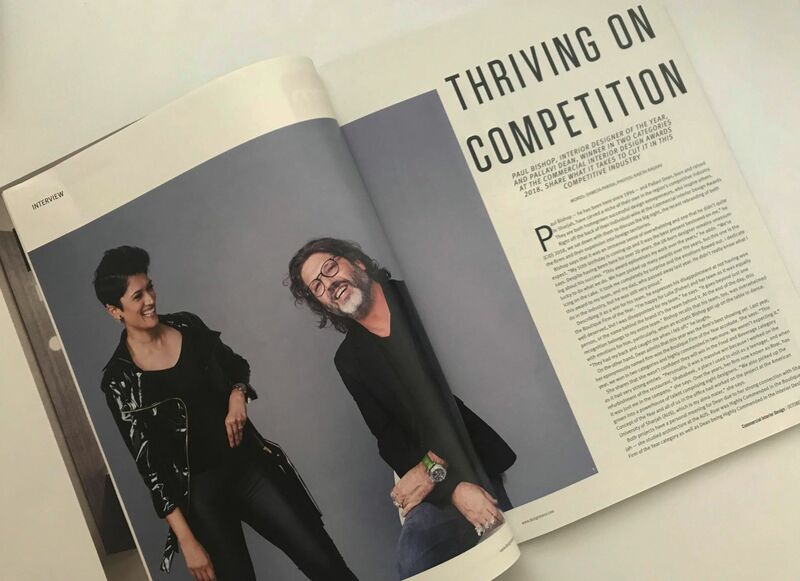 Both “homegrown successful design entrepreneurs,” Paul and Pallavi agree that design is a response to human behavior, revealing how designers are manipulators of people’s experiences. Don’t miss any of our media updates by checking in with us on our Facebook page!